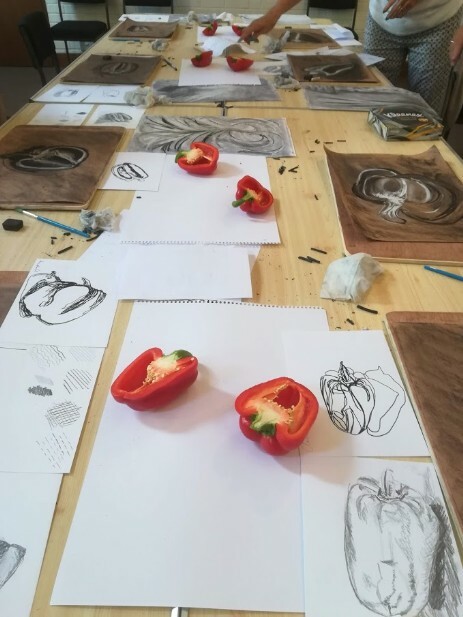 More of Vicki Ostersen's courses for young children got under way during the recent half term holidays. 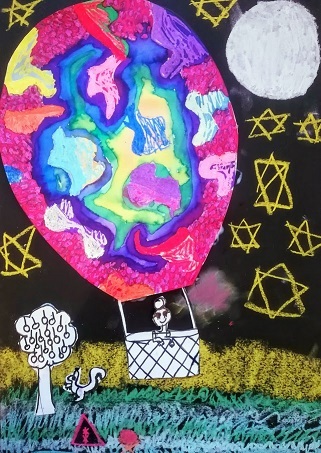 Three different sessions were undertaken by groups of enthusiastic young artists.The first entittled 'Up, Up and Away' experimented with oil pastels, liquid watercolour, pens and coloured chalk to design a unique hot air balloon picture. 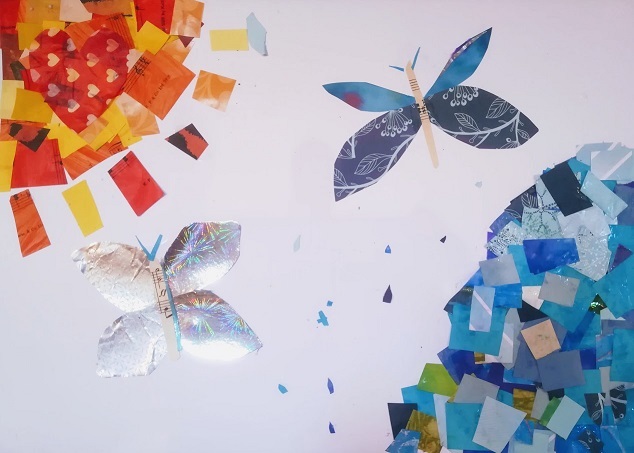 The second called 'Painting with Scissors' was an exercise inspired by Matisse and Eric Carle to decorate paper which was then used to create a collage bug picture and 'Monsters and Aliens' was the third topic. 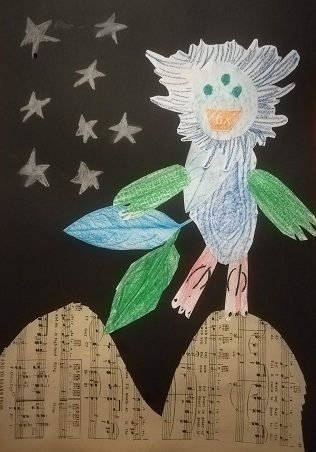 Students were invited to come and draw and explore the textures in the Physic Garden to create weird and wonderful monsters and aliens. Examples of their work are shown below. The next course featured another vegetable - this time a squash! After her highly successful and popular courses for children Vicki Ostersen decided that it was time to let the grown ups have a go. As a result she launched a taster session for adults. Under her guidance participants of the fully booked course were encouraged to develop their drawing skills. 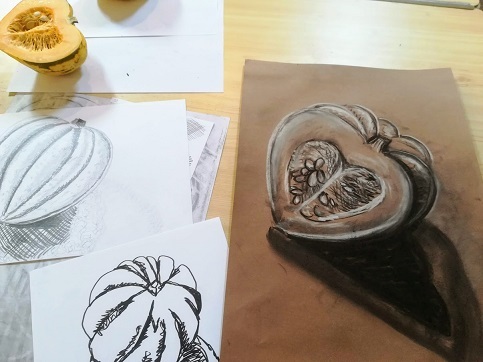 Pencils and charcoal were used for mark-making and drawing from observation. A red pepper was used as the model as you can see from the results shown here. 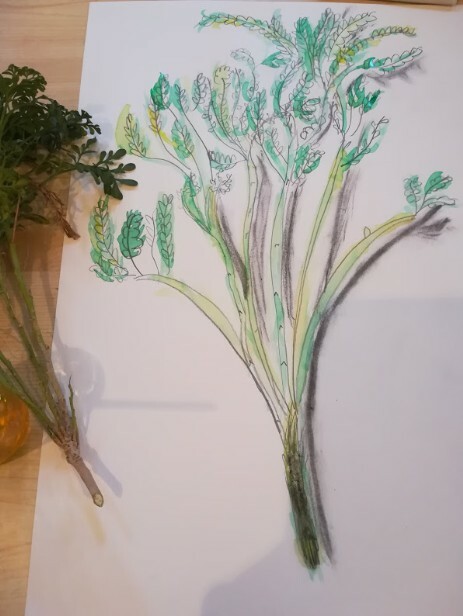 In a new venture for the Garden, artist Vicki Ostersen has been teaching a group of 8-10 year old children how to draw from observation. 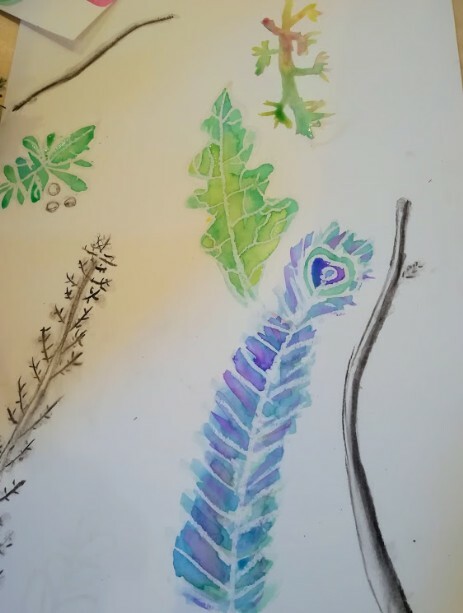 She has been using organic things that can be found in the Garden such as rocks, twigs and leaves. She was ably assisted by Paddy Daws who is an ex-teacher and volunteer gardener.